Did Kandi find out the truth about Cynthia? 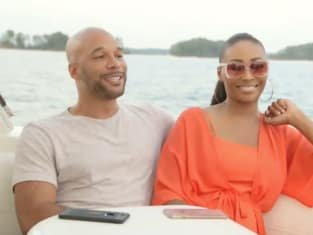 That was revealed on The Real Housewives of Atlanta Season 10 Episode 7 when Kandi and Todd crashed Cynthia's date on a boat to find out whether she was lying about who she was dating. Meanwhile, Porsha had a bust-up with one of the ladies, and it fractured the group again, but who chose to take her side? Also, another dinner paved the way for another disagreement.